There are a lot of fantasies fed to us in the name of nuclear power. How we need it, how it is the only real option for the power we so desperately need, how it isn’t all that dangerous and so on. There is no space for an alternative view. The government is clear on what it wants to do, and promotes all opposition to nuclear projects as against the interests of the country. The media carefully walks the same path. 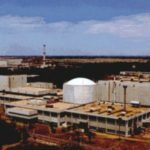 There are three key components to the nuclear power halo, and there will be three posts here looking at these claims. Clean, Safe and Cheap. This, the first is about the Clean. Before we get into any worst case scenarios, let us see the normal operations of a nuclear plant. Even a brand new plant vents radioactive gasses, and cycles contaminated water from the reactor to be decontaminated and reused or released into the environment. They have “allowed” levels, since these activities are part of the normal functioning of the plant. Monitoring for radioactive contamination is not possible (or methods available) for the entire known range of contamination that can happen. It is unclear what kind of monitoring is actually carried out in India. This data is not publicly made available at the very least, though it is of significance to the public at large. As nuclear plants age, the chances of leaks rise significantly. These may be in the form of gasses, or pipes and valves that wear out. In theory, the high risk environment means that monitoring for wear and replacement is high priority. In practice, almost every plant in the world has had leaks – great or small. Many argue that it is a matter of working efficiently. However, that is debatable, considering that a factor like piping alone involves hundreds of kilometers of pipe in a single reactor. The risk of lapse will always be there. Then you have the actual incidents of contamination. These may be security breaches or equipment or facility failures. 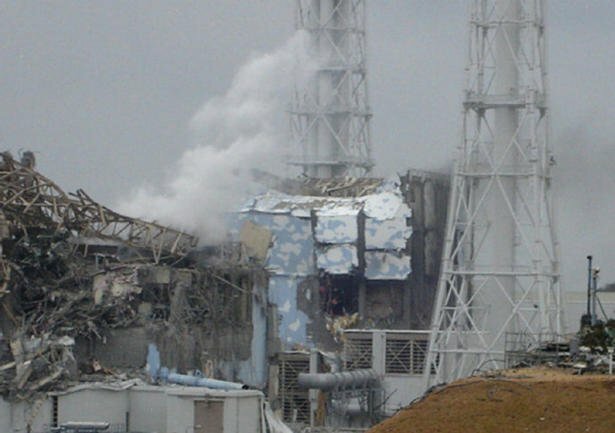 Depending on the kind of contamination and the half-lives of the materials released, the severity can be as minor as the radioactivity dying out in a week or so to the area becoming permanently radioactive. And you have the severe accidents a la Chernobyl or Fukushima, where the reactors are destroyed, massive radiation releases happen, vast areas become permanently out of bounds for humans and incalculable destruction of life, health, property loss, economic loss and loss of resources like food and water happens. It is entirely debatable if such loss can ever be considered a worthy risk no matter how much electricity and profit a reactor makes. Today, most Indians barely hear anything at all about Fukushima, but almost a year from the incident, the crisis is still unfolding. Contamination is still being called in from new areas. The initial optimism of reclaiming contaminated lands (upto 100mSv within a decade and 200mSv in two decades) has been replaced with a resigned acceptance that areas measuring more than 50mSv will be permanently out of bounds for humans. The losses in livestock, farming produce, fishing, property and health are still unfolding a year from the crisis. It is still not possible to conclude about how much loss has happened. And it is a long way from over. 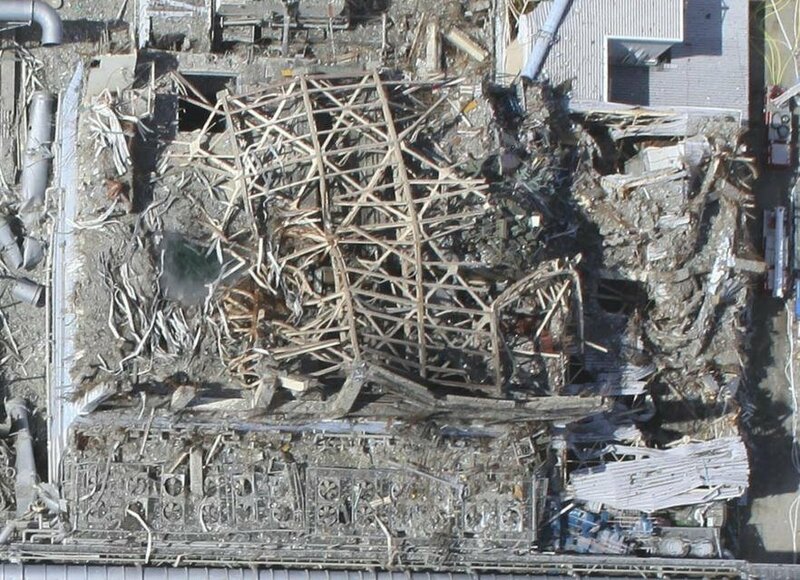 An entire Spent Fuel Pool (SFP) is on a rickety structure that is one good earthquake away from catastrophic collapse. And any of the reactors or SFPs going critical or even developing a massive leak (very possible) will require evacuations that will set off more. A year from the crisis, we still have no clue where the fuel from the reactors actually is. The live cameras still show suspicious steam and flashes at the nuclear plant routinely and people working at the plant have died of heart attacks regularly. For that matter, people working on the decontamination outside the evacuation zone have also dropped dead after handling the radioactive sludge and other waste. The last known incident was yesterday, and we’ll be lucky to go a week without hearing another. Indian media has put the trauma of Fukushima firmly behind them and are currently busy describing how anti-nuclear NGOs have suspicious funding. However, while we haven’t got a Fukushima or Chernobyl yet, we have had our own history of nuclear accidents that should raise the hair of anyone not obsessed with dismissing them. Here’s the list in Wikipedia, though details of these and more will soon be a section on this site. The summary of “clean” in India. The summary of such “clean” in the world is beyond the scope of this article. 10 Sep 1989 Tarapur, Maharashtra, India Operators at the Tarapur Atomic Power Station find that the reactor had been leaking radioactive iodine at more than 700 times normal levels. Repairs to the reactor take more than a year 0 78 The on line hours of unit 1&2 in 1990 were 7772 and 7827 hrs (source IAEA PRIS. Repairs lasting more than one year from 10 Sep 1989 can not yield such on line hours.surely something is wrong. 31 Mar 1993 Bulandshahr, Uttar Pradesh, India The Narora Atomic Power Station suffers a fire at two of its steam turbine blades, damaging the heavy water reactor and almost leading to a meltdown 0 220 The cost data is not on comparable basis. 2400 or so US 2006 dollars for TMI and 220 for NAPS unit 1 is wrong.